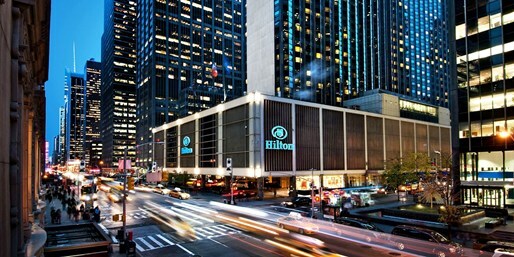 Among the many travel deals of this day, you will also find the New York Hilton Midtown hotel from only $229 per night, a price that is up to 40% less compared to the average rates of this 4 star hotel. Book one of the other deals if you have different plans. There are one way domestic flights with Alaska Airlines starting from $62, a top Las Vegas hotel deal right from The Strip for $30 per night, the luxury all-inclusive Bahia Principe Runaway Bay in Jamaica from $236 nightly and more offers. Hurry and book before these travel deals are gone! If you want the rate featured on the top of the table, you should stay at New York Hilton Midtown on select dates between now and June 17 2016. The 4 star hotel is located in Midtown Manhattan, close to iconic New York sights like the Rockefeller Center, Radio City Music Hall, Carnegie Hall and others. Note that other upscale New York hotels are also on sale, including the Conrad and the Waldorf. You might want to check if there are even better hotel deals for New York. Choose some merchants and compare their prices so you might find if there is a better price for this or a similar hotel. This entry was posted on Wednesday, April 6th, 2016 at 10:36 pm and is filed under Hotel Deals, Top Deals. You can follow any responses to this entry through the RSS 2.0 feed. You can leave a response, or trackback from your own site.